Sheep comprise a large part of the agricultural life and livelihood of the Near Eastern people, including the Hebrews, and are mentioned in the Bible more than 500 times. They are also a very fitting symbol of the people of God. David, the Psalmist, and king of Israel, had been a shepherd in his youth (1 Samuel 16:11); understanding firsthand the relationship of a shepherd and his sheep, he aptly applies this knowledge to God and His people saying in Psalm 95:7, “…we are the people of His pasture, and the sheep of His hand.” In the beautiful shepherd’s Psalm, 23, David vividly portrays the benefits God our Shepherd and Father bestows on us; but the first step we must take is to submit to and acknowledge Him as being “The Lord…my shepherd.” Then, in the following verses, we see how our wonderful shepherd cares for us as we look through the eyes of the sheep that come to dearly love and trust their shepherd. 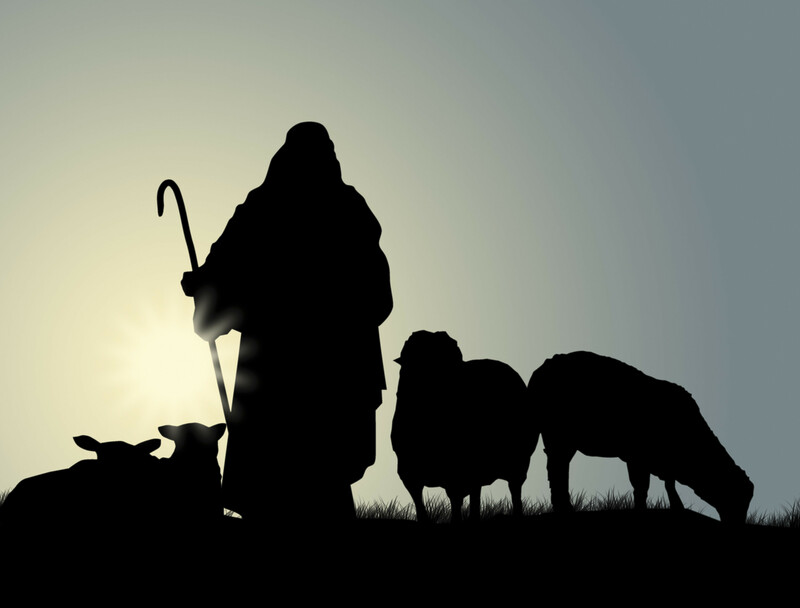 He leads the sheep to adequate provision and contentment, and to calm waters from which to drink in peace and refreshing; when injured or afflicted the shepherd nurtures the sheep back to health, strength and restoration; the shepherd leads in right paths and though sometimes they may go through terrifying and dangerous places, the sheep are not fearful because of the shepherds presence, with his rod in hand to beat off intruders, and with his staff to gently draw back to the path when a sheep begins to wonder astray. With all this provided by the shepherd, no wonder the sheep find comfort in his presence! Then, in the last two verses, we see that our Shepherd Father has prepared a table in the presence of our enemies, meaning these abundant provisions are to be enjoyed by us now because in heaven we will not have enemies! Then His ointments are so great that our cup overflows and others are blessed. His goodness and mercy are daily with us, and we get to dwell in His presence forever! He loves dearly all His sheep. When they need help He gives them aid. For He’s the only shepherd they know.